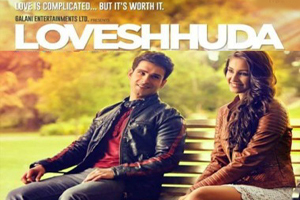 LoveShuda is a 2016 Bollywood romantic drama film directed by Vaibhav Mishra and produced by Vijay Galani. The film stars Girish Kumar, Navneet Kaur Dhillon in lead roles. The soundtrack of the film is composed by Mithoon, Parichay while lyrics were penned by Sayeed Quadri, Kumaar, Manoj Yadav. Here is the link of all the songs lyrics and videos of LoveShuda.